It’s Fall season, November is upon us, and the holiday/gifting season is in full throttle! How can you not love Fall?! Streets filled with colorful leaves, delicious food for devouring, another opportunity to get crafty and artsy, and definitely a time to give back to your community! Thanksgiving is just around the corner, think of all the food! November’s sweet treat is pies! Enjoy it in all shapes, sizes, and for every meal of the day; breakfast, lunch, dinner, dessert, and the snack time in between! Your options are endless when it comes to pie! Sweet pies range from fruit filled, to oven baked, cream filled, specialties, and more. Try a Quiche, combined with your favorite breakfast items baked to perfection. Enjoy pies for lunch such as chicken pot pie or shepherd’s pie. Get creative with dinner and add in the veggies! For recipes and inspiration, check out Food & Wine Magazine or America’s Test Kitchen. 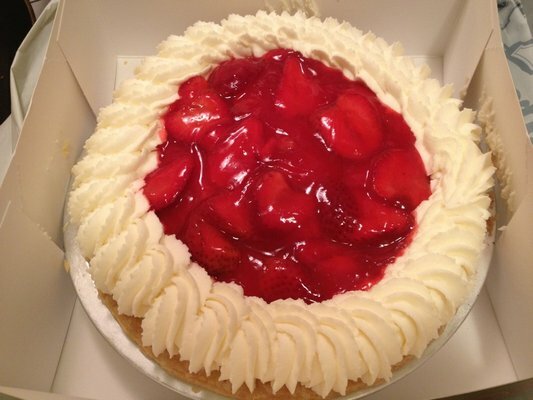 My favorite and go to pie is Banberry from Polly’s Pie which is Polly’s signature Banana Cream filling topped with fresh strawberries! Check with your local pie shop for great deals and seasonal flavors! Whether its homemade or store-bought, don’t forget to get your pies this holiday season! Especially for Thanksgiving! Countdown is T-Minus 22 days! For more pie goodness check out Food and Wine’s Pie Week for10 Ways To Use Leftover Pie Dough, Top 10 All Time Favorite Pies, America’s Best Pie Spots, and more! Thanks for checking out J9adventures! More tasty recipes and holiday eats to come as Thanksgiving approaches!